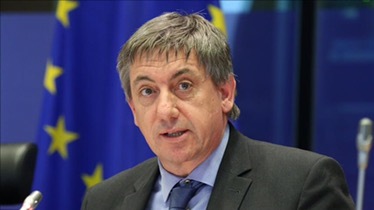 A group of Belgians on Friday filed a criminal complaint against their Interior Minister Jan Jambon over his claims that many Muslims danced after the March 22 terror attacks in Brussels. The remarks followed the deadly airport and subway suicide bombings in Brussels, which left 32 people dead. The minister later also defended his claims in the parliament, but despite repeated requests by MPs, he had failed to provide any evidence to support his remarks. A group of Belgians comprising Muslims and Christians gathered in front of the Palace of Justice Friday before they made an official complaint with the prosecutor’s office against Jambon, accusing him of discrimination. One of the organizers, lawyer Marie Pierre, said that Jambon’s remarks only served to increase tension in the society. “We do not accept this. This is not normal. The job of an interior minister is to ensure security. However, these words increase tension in the society,” Pierre said. Another complainant, Liesbet Temmerman, asked Jambon to either take his words back or issue an apology. “Although I am not a Muslim, I don’t agree with him. We want him to take his words back or apologize,” Temmerman said. Semir Hamdat, an Afghan-origin Belgian citizen, said that Jambon’s claims were not true, and he had to provide proof or take his words back. Muslim politicians also slammed Jambon, accusing him of marginalizing a part of the community. “Dividing the Belgian society as Muslims and others won’t benefit Belgium. “This pain belongs to all of us. Portraying a large part of Muslims as if they are supporting terrorism is very dangerous,” he said. Another Turkish-Belgian MP, Mahinur Ozdemir, also condemned Jambon’s “divisive” remarks. “It is not nice for someone in the capacity of the interior minister to stigmatize Muslims,” Ozdemir said.